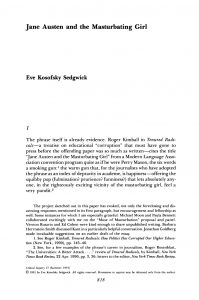 Eve Kosofsky Sedgwick. 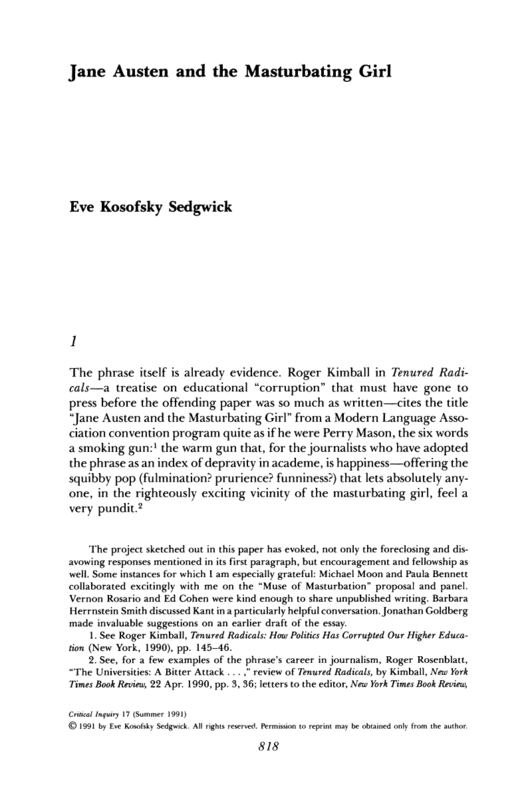 “Jane Austen and the Masturbating Girl.” Critical Inquiry 17, no. 4 (July 1991): 818–37. https://doi.org/10.1086/448614.